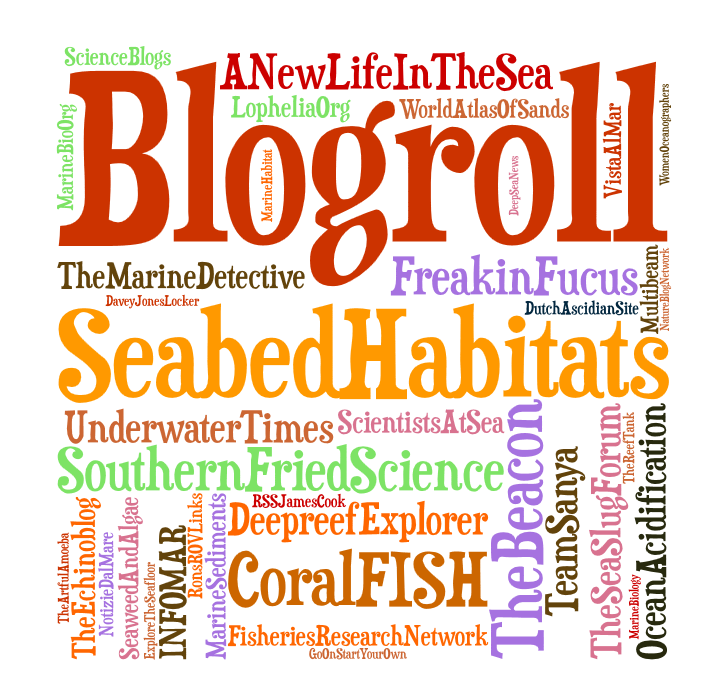 Being the main part of the blog, this page will feature short scientific reviews of general or personal interest, helping to bridge the gap between popular science outreach and formal research. Giant kelp forests off of south-eastern Tasmania. Forest locations were Fortescue Bay and Munro Bight. As of January 2013, the forest at Fortescue no longer exists. Reasons attributed to the decline of this kelp forest and numerous others along the east coast of Tasmania include: warming waters, increasing occurrence of invasive species and a disruption of the natural food chain due to overfishing. This video is a tribute to the beauty of these forests in the hope that the attention they are finally getting from the government is not too late to prevent their extinction. The GEOCOAST project is aimed at development of the online educational resource about Ireland’s coastal and marine environments with particular focus on coastal geology and geomorphology. It is envisaged that this project should contribute towards dissemination and outreach of scientific knowledge to the public through the use of modern day technology including online mapping and videos. GEOCOAST produced a dedicated YouTube Channel: GEOCOAST, based at University College Cork. Also check out their website at the following link. One of the greatest threats to the ocean is also one of the most insidious because chances are it’s so mundane you don’t even notice it. Look around you right now: how much plastic do you see? The ocean is downstream from all of us so no matter where we live, so we can all help address the issue of plastic pollution in the ocean. Each year a huge amount of plastic eventually makes it into coastal waters and harms ocean life. Many animals such as seabirds, sea turtles, dolphins, and whales die every year from plastic entanglement or starvation because they fill up their stomachs on plastic they mistake for food. Take action for the oceans and prevent plastic from harming ocean wildlife! Ban the bag in your town (or country!). Many communities around the world are banning plastic bags from being used at their stores. 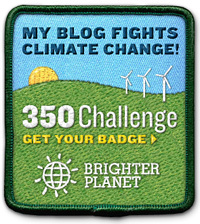 Learn how to start a campaign to stop plastic bags use in your town! Submarine canyons occur worldwide, along all ocean margins. A recent study by Peter Harris and Tanya Whiteway counted at least 5849 of them! This work was based on a global bathymetric dataset of the oceans (ETOPO1) that is reasonably detailed. However, in some places we have much more detailed seabed maps, and we see that the better the maps, the more canyons we find. So there is still a lot to discover in the near future! Some of the canyons that have been mapped are directly connected to a river system on land (e.g. the Mississippi Canyon or the Congo Canyon). Others do cut right into the shelf, but are not necessarily connected to a river. They may be following the course of a deep-seated fault in the geology (e.g. Nazaré Canyon offshore Portugal), or may catch the currents and sediments at the end of a Bay (e.g. Cap de Creus Canyon in the Mediterranean Sea). Finally, there are also canyons that do not cut the shelf, but are formed deeper on the continental slope, sometimes as the result of repeated submarine slides cutting upslope into the continental margin sediments (e.g. canyons in the Rockall Trough, NE Atlantic). Canyons are formed by a combination of the erosive and abrasive forces of sediment flows, and of slope failures such as submarine landslides occurring on the canyon flanks. The first process tends to make canyons deeper, while the second one makes them wider. The origin of the sediment flows could be anything from flooding in the feeding river (bringing a lot of material into the ocean) to the activity of storms on the shelf, which stir up al lot of sediment. Many canyons used to be much more active during the ice-ages, when the sea level was lower than today, and the shoreline with its river mouths was much closer to the shelf edge. Because of the steep topography and the regular occurrence of erosive currents and submarine landslides, submarine canyons contain habitat types that are often rare along the smoother and more homogeneous continental slope. For example, in some places we find rock outcrops which form a solid anchoring point for a variety of sessile fauna that catch their food through filtering of the passing waters. In addition, the steep shape of the canyon tends to affect local current patterns, often pushing deeper, nutrient-rich waters to the sea surface (so-called ‘upwelling’). Once there, the nutrients stimulate extra primary production or plankton growth, which in turn is the basis for a rich food chain. On the other hand, the occasional downslope sediment flows that transport material from the shelf to the deep sea also bring fresh organic matter from the shallower to the deeper waters. This supports a richer fauna also in the deeper parts of some canyons, compared to the average continental slope. Overall, canyons are often found to be areas with increased regional biodiversity and increased biological growth. This is a result of all the different habitat types that can be found so closely together and of the specific processes that bring nutrients to the sea surface, and organic matter to the bottom of the canyons. 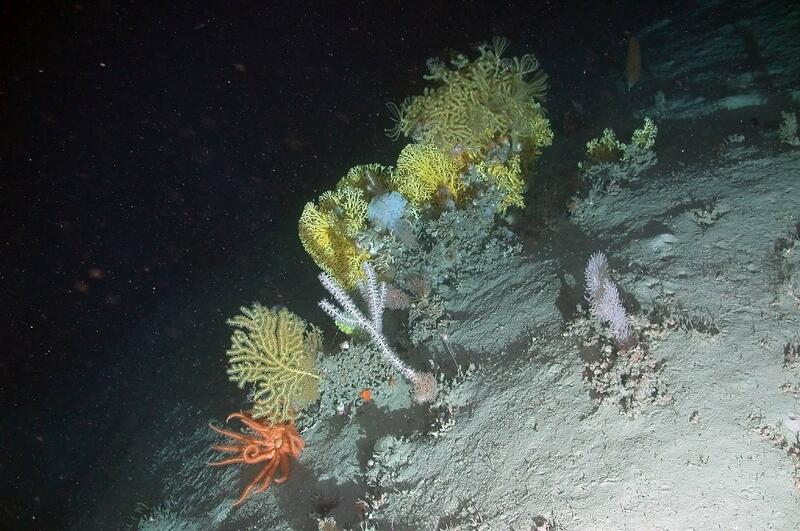 It makes submarine canyons very important locations when considering environmental conservation in the deep sea! Unfortunately, still far too little is known about submarine canyons, about the exact way those current and sediment transport processes work, and about the enormous variety in biological life forms, species and ecosystems that occur. Again owing to their complex shape, marine research in submarine canyons has always been quite difficult. The steep walls cannot easily be sampled or photographed with traditional, drop-down equipment. It is only since the technological development of deep-water robotic vehicles that we can now slowly begin to ‘look around’ in submarine canyons, and can start to understand how they work. 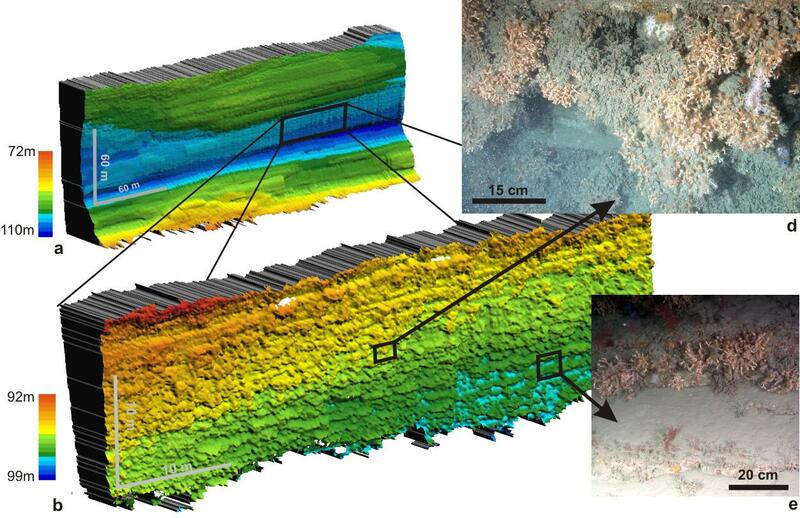 Figure 3: Mapping the steep or overhanging walls of submarine canyons leads to the discovery of rich hanging ecosystems which were entirely unknown until a few years ago! (after Huvenne et al. (2011, PLoS One)). 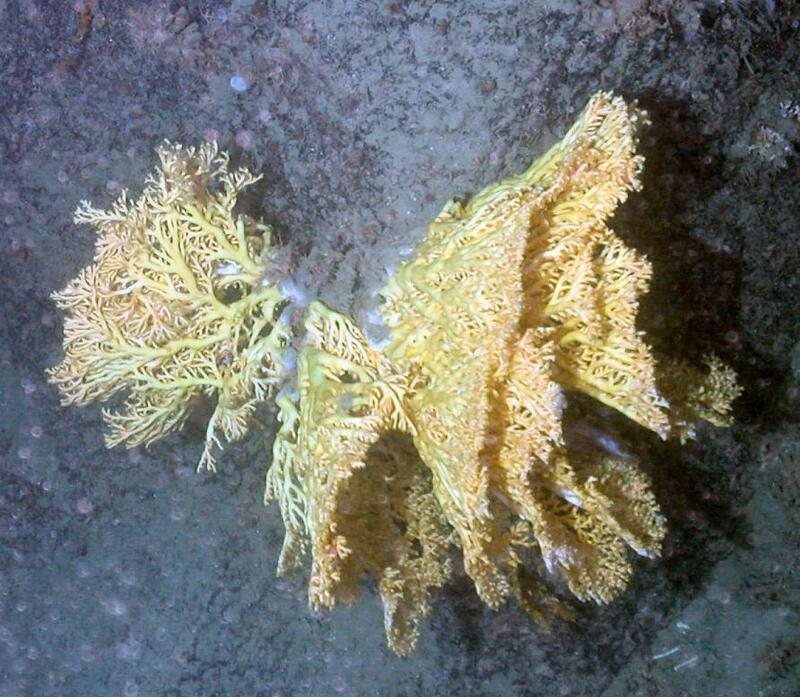 Further research into this method is currently ongoing within the CODEMAP project, while other examples of rich hanging deep-sea communities have recently been discovered in different canyons around the world. In terms of marine conservation, these vertical communities could be very important. By grace of their steep morphology, they somehow protect themselves from a lot of the potential human impacts in the deep ocean (at least from trawling fisheries, for example, which nowadays can take place to >1500 m water depth). This way they could act as nursing grounds for several species, and we hope one day they might also provide the larvae needed for the restoration and re-colonisation of other parts of the deep sea that already have been affected by human impacts. Still, steep bathymetry will not protect the rich biodiversity from all the perils caused by human exploitation of the deep ocean – the corals in Whittard Canyon will still feel the effects of ocean acidification, while entangled fishing lines and plastic bags, swept down the canyon by the occasional sediment flows, could be seen in between the coral framework. So it is very important we are careful with those vulnerable marine ecosystems, and that we try to protect them as much as possible. Here’s an interview with Veerle Huvenne herself, speaking about her work in the Hermione project. 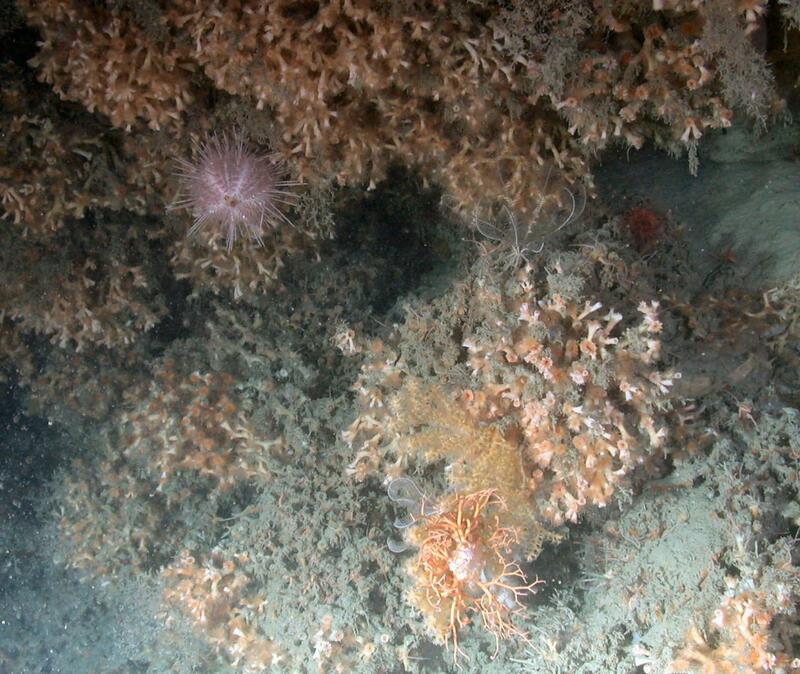 Thanks and acknowledgements go out to Dr. Veerle Huvenne of NOC for taking the time to produce this blog post and informing us of this relatively undiscovered seabed habitat. The miraculous journey of infant sea turtles as these tiny animals run the gauntlet of predators and harsh conditions. Then, in numbers, see how human behavior has made their tough lives even more challenging. How long is the coastline of Australia? One estimate is that it’s about 12,500 km long. However the CIA world factbook puts the figure at more than double this, at over 25,700 km. How can there exist such different estimates for the same length of coastline? Well this is called the coastline paradox. Your estimate of how long the coastline is depends on the length of your measuring stick – the shorter the measuring stick the more detail you can capture and therefore the longer the coastline will be. Fractals are typically self-similar patterns that show up everywhere around us in nature and biology. The term “fractal” was first used by mathematician Benoit Mandelbrot in 1975 and used it to extend the concept of theoretical fractional dimensions to geometric patterns in nature, including the seabed.